I was not a fan LEGO Technic models until I came across a MOC (My Own Creation) made by Tomáš Vít on his buildinst webpage (http://buildinst.sweb.cz/). 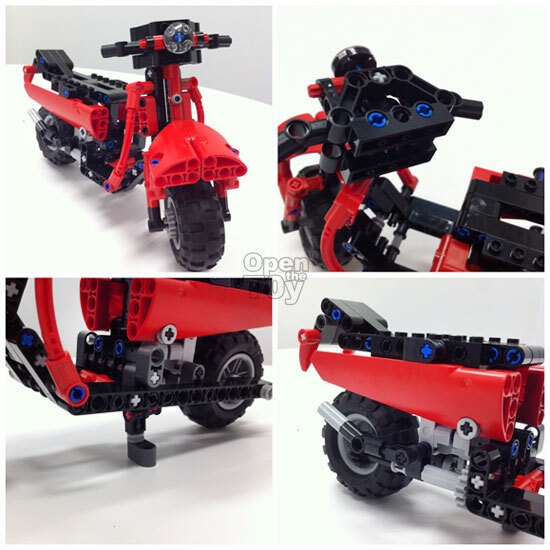 This is the Technic scooter designed by Tomáš Vít. All parts used to build this model comes from the discontinued LEGO 8048 TECHNIC Buggy building set. I was so interested in this scooter model that I had to hunt for this LEGO 8048 TECHNIC Buggy building set. Fortunately I managed to find and bought a used set of this toy on Bricklink. I followed Tomáš’ building instructions for this model and successfully built this toy. Let us review this beauty. 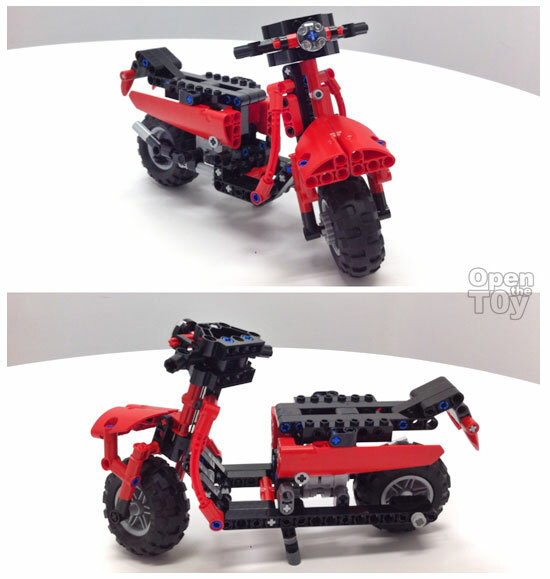 Despite the limited number of parts from the 8048 building toy set, I think Tomáš has accurately captured the curved shapes and looks of a scooter in this model. This model has the classic scooter look and comes complete with steering dashboard, exhaust pipe and even comes with turnable kickstand to prop the scooter when it is parked. 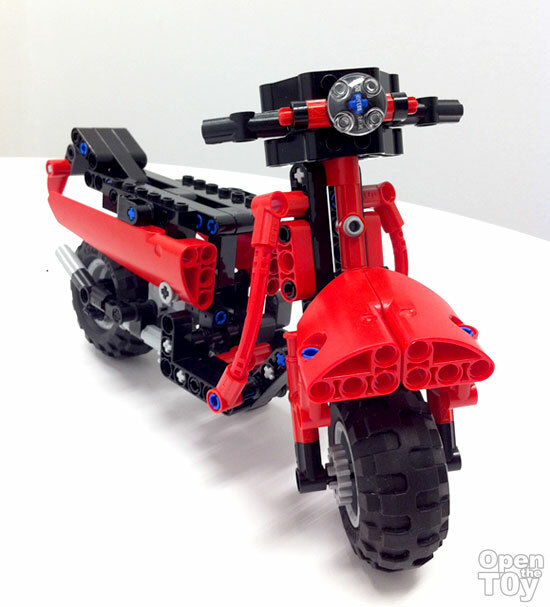 Like all TECHNIC models, this scooter model comes with moving mechanical gears and axles. This scooter model features a single cylinder engine with yellow piston. 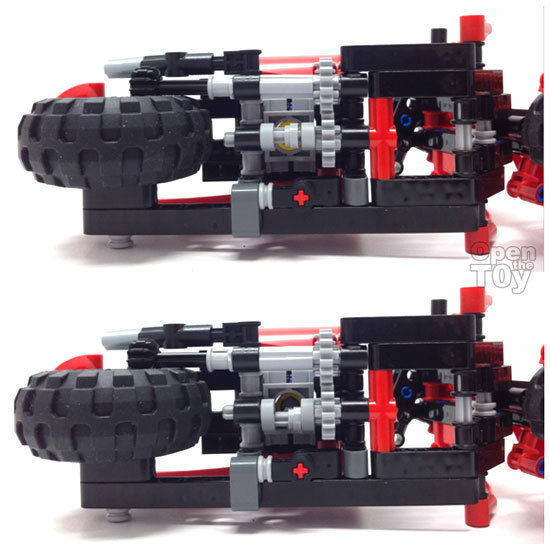 When the rear wheel turns, the interconnected gears and axles mechanically operates the piston. 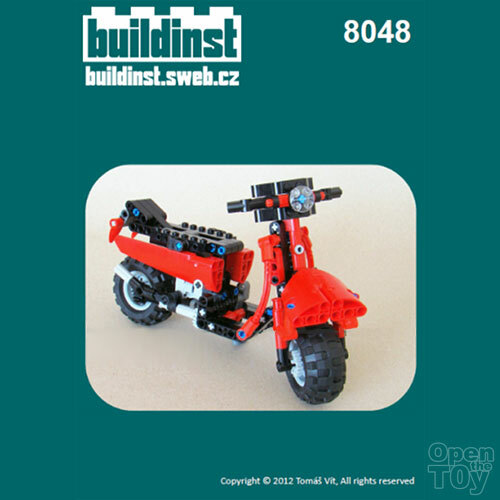 This TECHNIC scooter model is my most favourite model designed by Tomáš Vít. I had a lot of fun building this model. 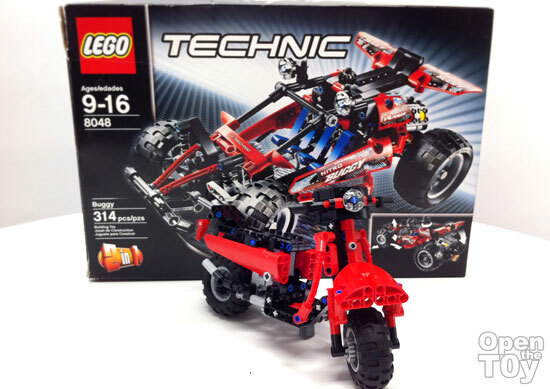 It looks great and has got me interested in other LEGO TECHNIC models. Thanks Yeetat for sharing again!